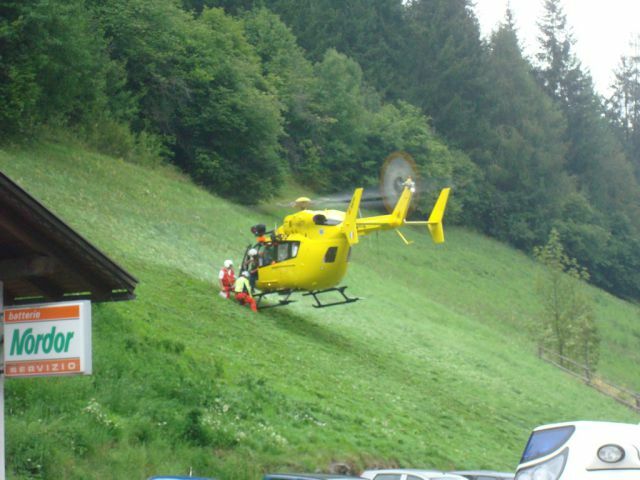 This rescue helicopter brought an emergency doc to a car repair station where one of their mechanics was heavy injured. 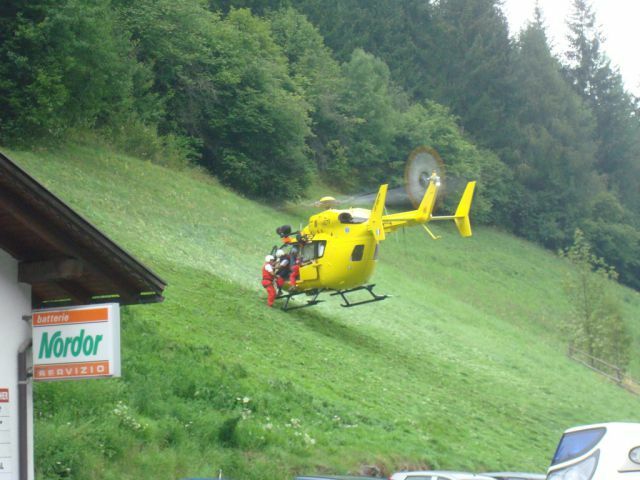 I think, I wouldn´t try to put my hand between the grass and the rotor wings... This happened in Northern Italy in a small village on the eastern side of the famous stelvio pass.